Curated TV schedules still have staying power, even in the age of the algorithm. One of my theories about the rise of streaming video has been that live, linear TV schedules would in most cases go away. Of course there’d be exceptions for live events, such as news and sports, but for movies and TV shows, a Netflix-style menu of on-demand video would suffice. A couple of recent events have made me question that assumption. First came the news that Hulu would be adding a traditional grid-based TV guide to its $40-per-month channel bundle. It’s already in public beta on the web, and it’s headed to TV devices in the spring. Shortly after that, Amazon added its own live TV guide to Fire TV devices. Amazon doesn’t offer a bundle of cable channels, but it sells premium ones, such as HBO and Showtime, as standalone add-ons for Amazon Prime subscribers. The guide will let users tune into live feeds from those channels and offshoots such as HBO Family and Showtime Beyond. It turns out that even in the age of streaming video—when algorithms can learn from your viewing habits and predict what you’ll want to watch—the live, curated TV schedule still has staying power. Even with the current version of Hulu, which emphasizes on-demand video over live channels, scheduled programming remains popular. Hulu’s senior vice president of experience, Ben Smith told me that Hulu TV bundle subscribers spend 54 percent of their time watching on-demand video, which means almost half of users’ time is still spent on live TV. 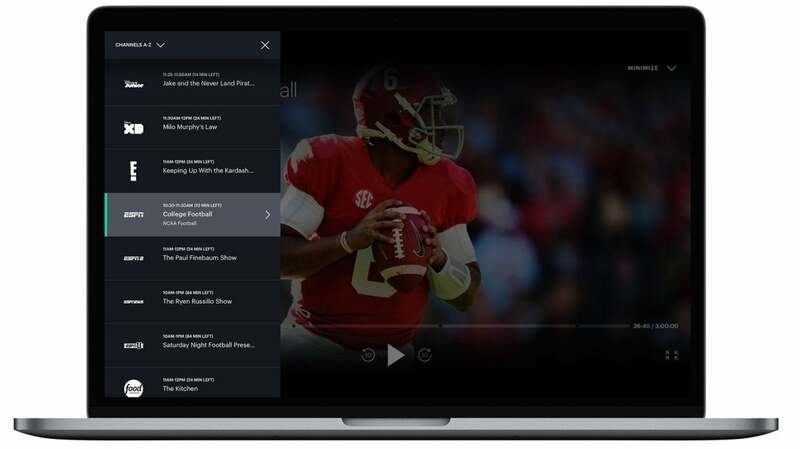 While news and sports make up the bulk of that viewing time, Hulu has also seen other uses flourish as it tests the new live TV guide. Hulu is adding a TV guide to its live streaming bundle. It’s worth noting that Hulu’s apps already have a section for movies, which are either selected by algorithm or curated into lists by editors. Even so, users seem to like the idea of picking from a list of live channels that already have movies playing on them. That behavior might also explain why Amazon added a live TV guide to its Fire TV devices. Right now, Amazon’s guide doesn’t even offer breaking news or sports channels. The guide is strictly a way to see what’s airing on premium channels from HBO, Cinemax, Showtime, and Starz. And most of the time, they’re airing movies that users could also access through an on-demand menu. Again, there seems to be some allure in finding those movies through a linear TV schedule. Amazon and Hulu aren’t the only ones embracing live, linear TV in the streaming age. 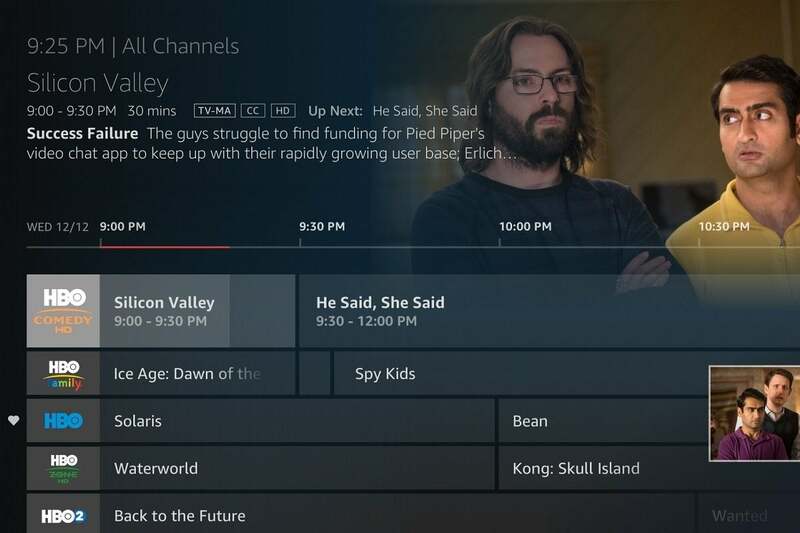 Pluto TV mimics the cable guide with its scheduled lineup of streaming video channels, and some individual apps, including CBS News, Red Bull TV, and Comet, launch directly into live streams. Of course, the TV guide remains alive and well on other streaming bundles, such as Sling TV, PlayStation Vue, DirecTV Now, YouTube TV, Philo, and FuboTV. 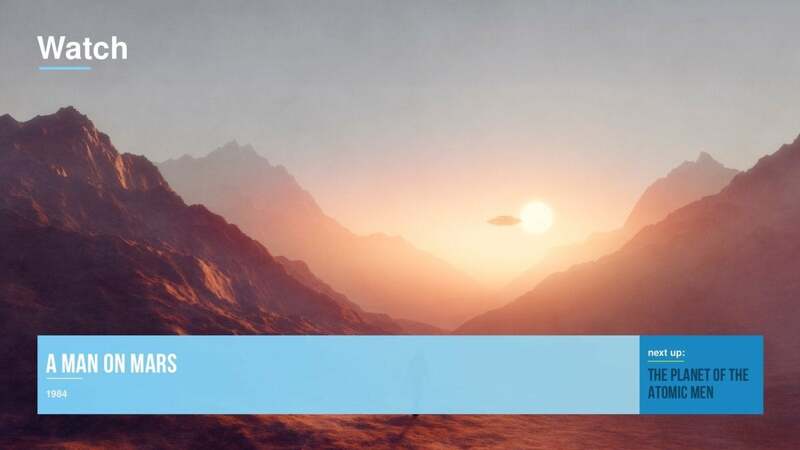 The Comet app for Roku and Apple TV provides a free linear stream of classic sci-fi. In the past, I might have argued that live TV’s resilience is just a failure of today’s on-demand interfaces, which if anything don’t go far enough in recommending the right movie or show to watch. Netflix has talked for years about improving its algorithms in pursuit of this goal, so that one day the perfect video for you would start playing right when you open the app. I agreed with that notion, figuring that linear TV schedules would seem archaic once algorithms could determine exactly what you want to see. But maybe what people really need are a break from those algorithms, which already dictate so much of what we see in search results and on social media. Perhaps there’s comfort in having a finite set of viewing options to choose from, all endorsed by another human somewhere. That doesn’t mean streaming video can’t improve on the linear format that cable TV established. Unlike with cable, streaming services often allow you to jump back to the beginning of a live movie or show so that you don’t miss anything. They also create more opportunities for human curation through user-made playlists and joint viewing sessions. Facebook recently started testing this kind of synchronized viewing, and the streaming bundle Philo plans to offer a similar feature this year. It’s not hard to imagine someday launching your favorite TV app and just jumping into whatever movie or show your friends are watching. One of streaming video’s virtues is the promise of seemingly endless choices on what to watch, often for less money than a traditional cable bundle. But as Hulu and Amazon have helped make clear, there’s one thing cable TV got right: Sometimes it’s nice to have somebody else make those decisions for you.